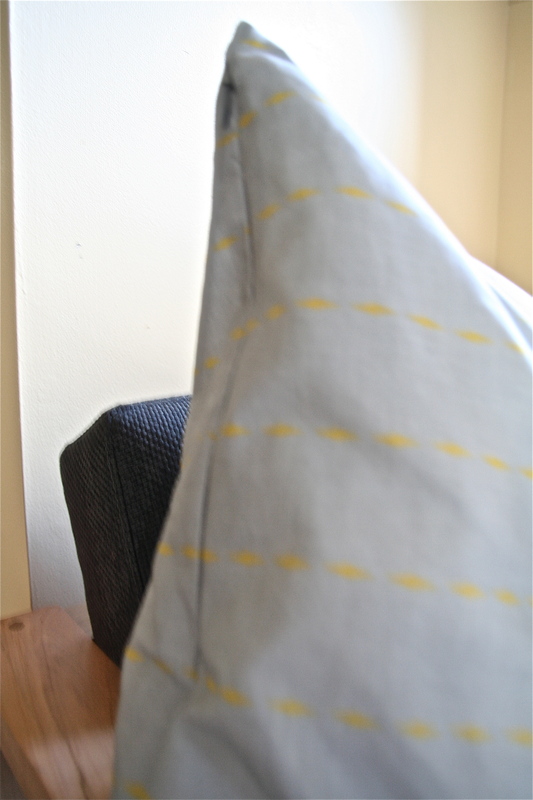 and your postal address so I can send them to you. 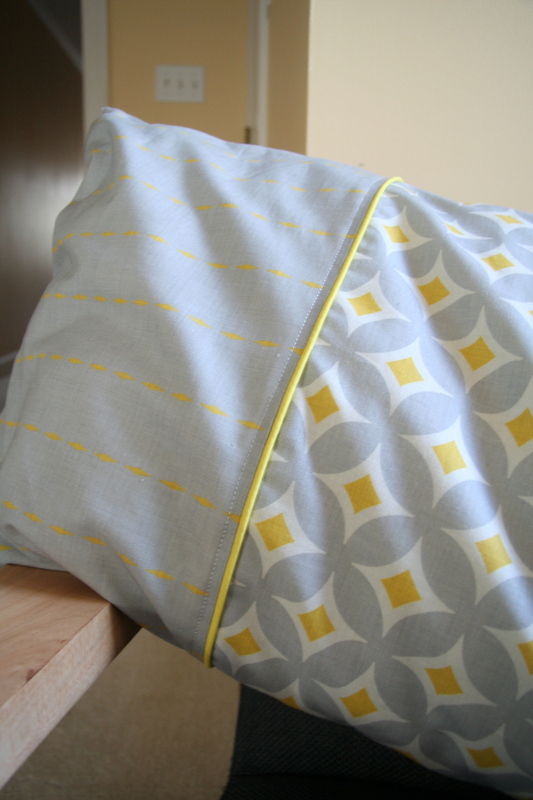 Now for Finish it up Friday (linking up with Crazy Mom Quilts); on Wednesday, I posted the Bolster cushion that I was making it using a tutorial and fabric (by Holli Zollinger Diamond Circles and Grey Diamond Linen) from Spoonflower. 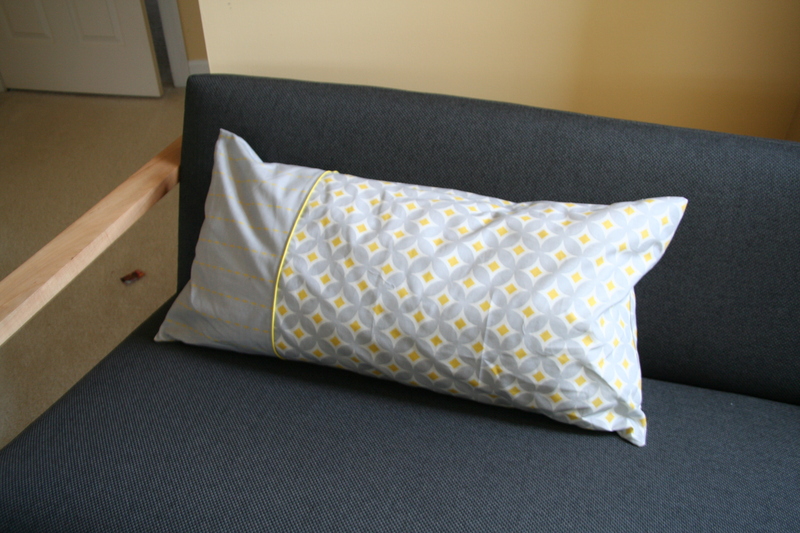 This entry was posted in Uncategorized and tagged 100th post, bolster cushion, give away, holli zollinger, new sofa cushion, piping, pot holders, Spoonflower, spoonflower.com, tutorial, yellow and grey fabric on February 8, 2013 by mlwilkie. Did I comment here how awesome that is? Nope? Hey – this is pretty awesome! Thanks! Cool 😀 That chicken print is really great.